ASN-4 diffusers are used in low and medium pressure installations, in a non-aggressive environment with a relative humidity of up to 70%. Recommended for horizontal ventilation in rooms up to approx. 4m high. 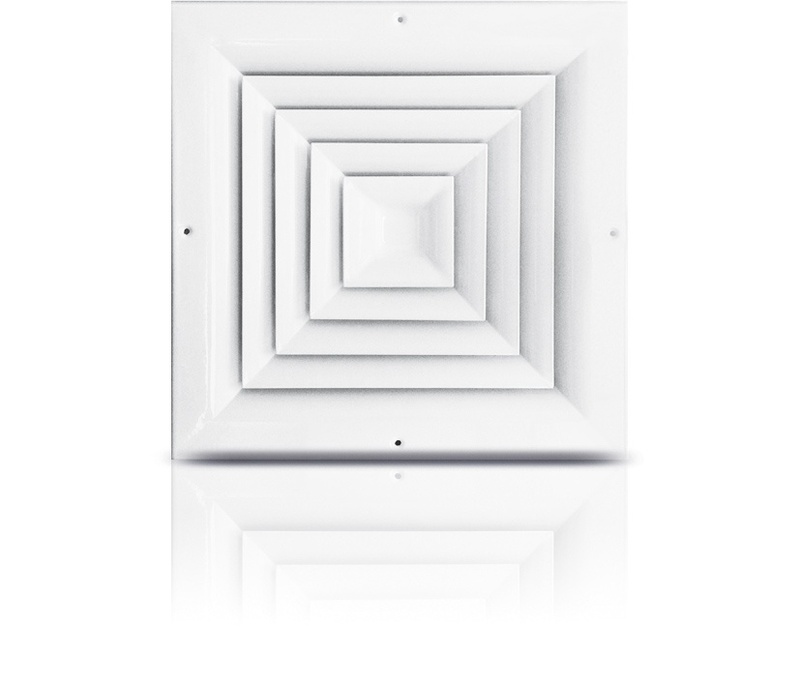 Diffusers are mounted on rectangular ventilation ducts, in plenum boxes and in suspended ceilings. Fixing with visible screws in extruded holes in the front frame or with the central screw fixing. The surface is finished with powder varnish in white RAL 9003 or on the order of others compliant with the RAL catalog.